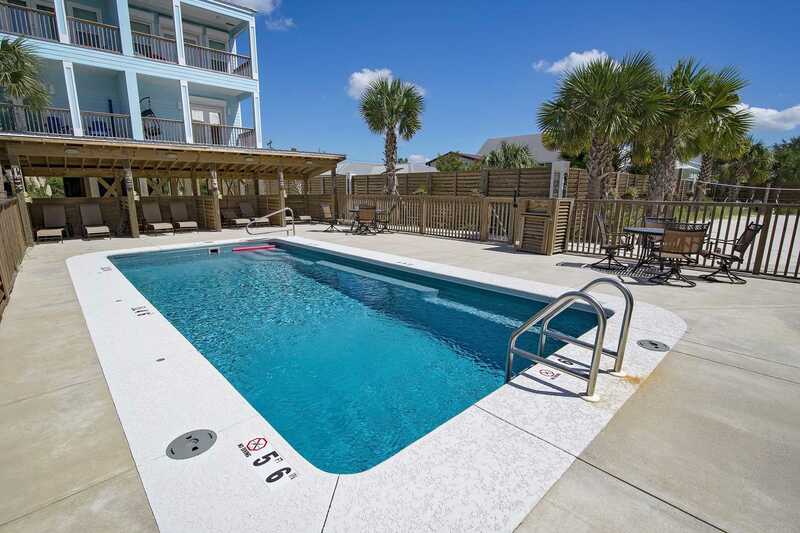 Mintal Escape is a 3 bedroom, 3 bath attached Townhome with pool, a cabana, and beach views! 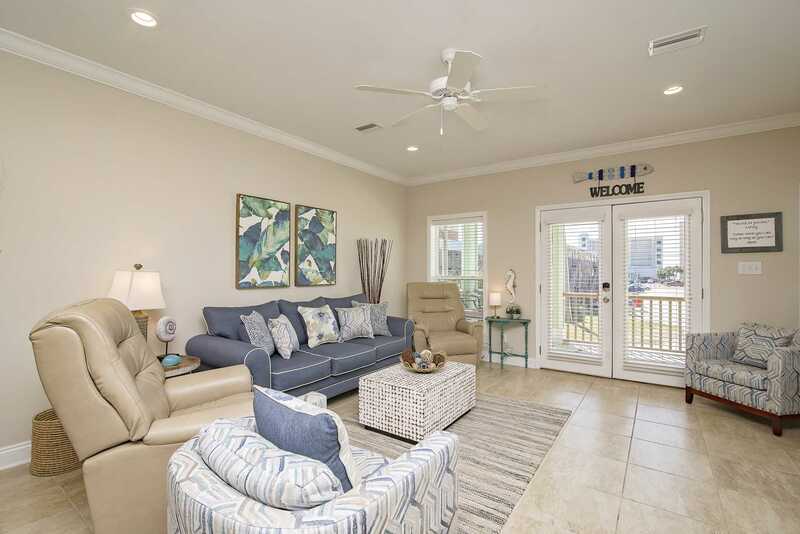 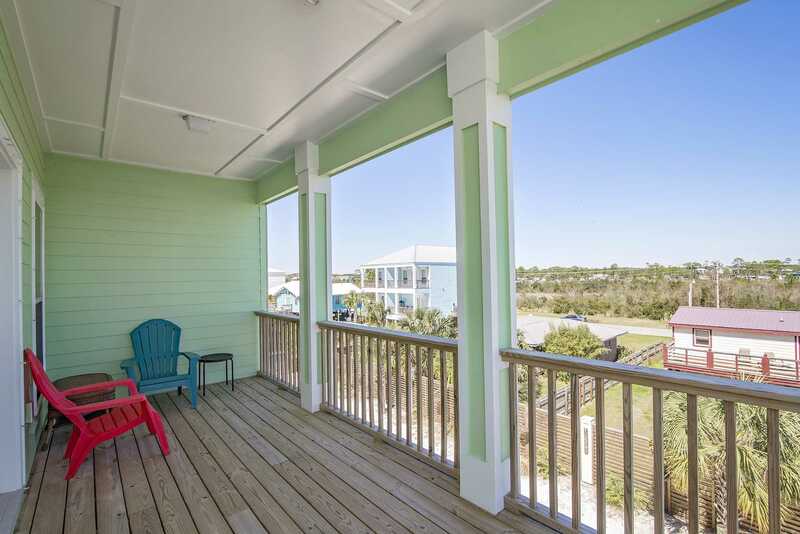 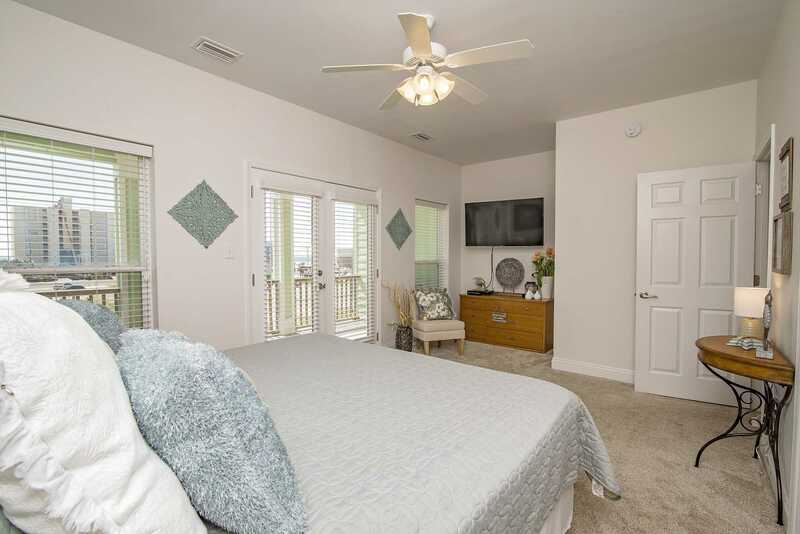 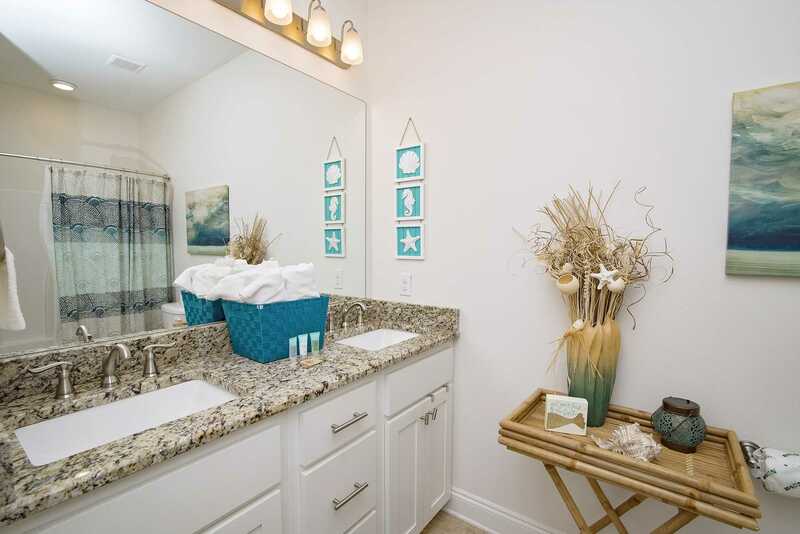 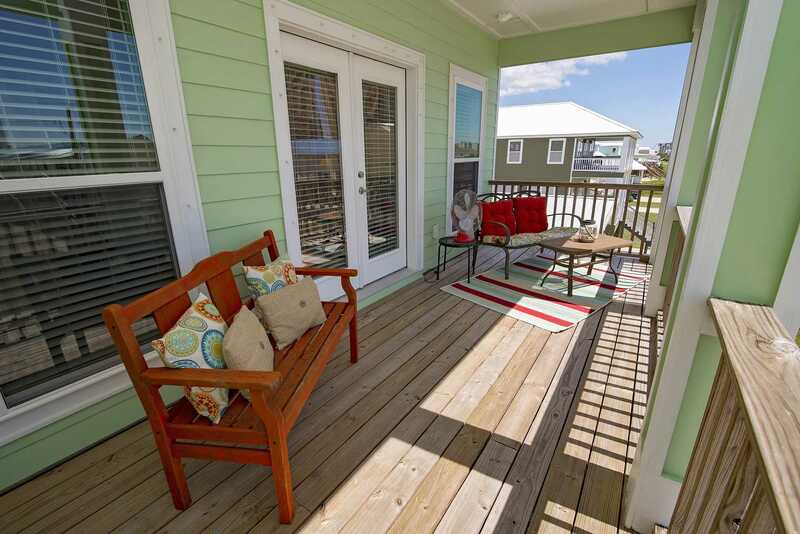 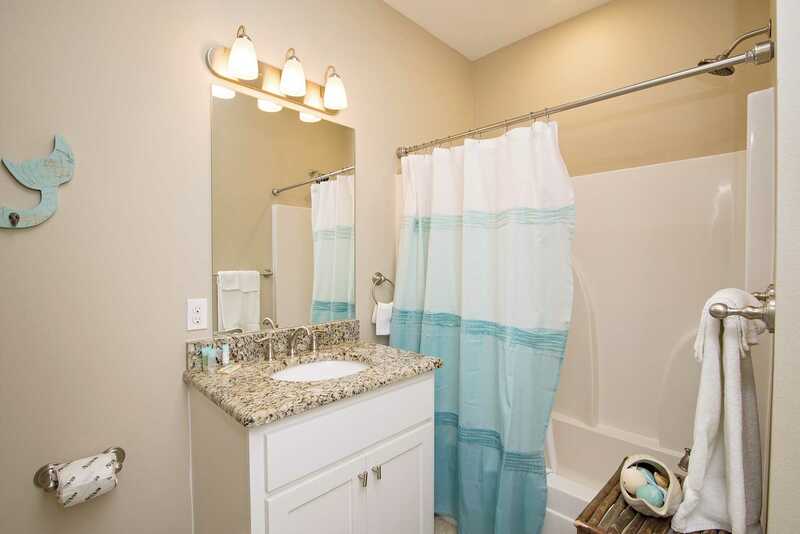 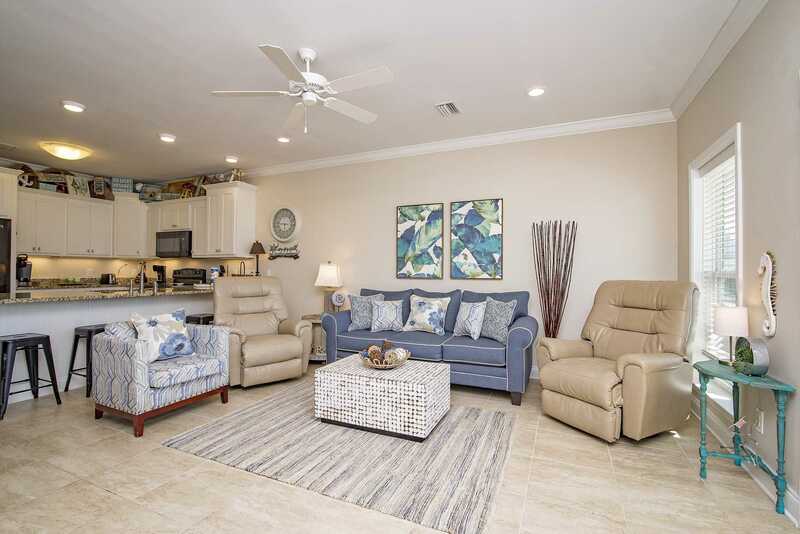 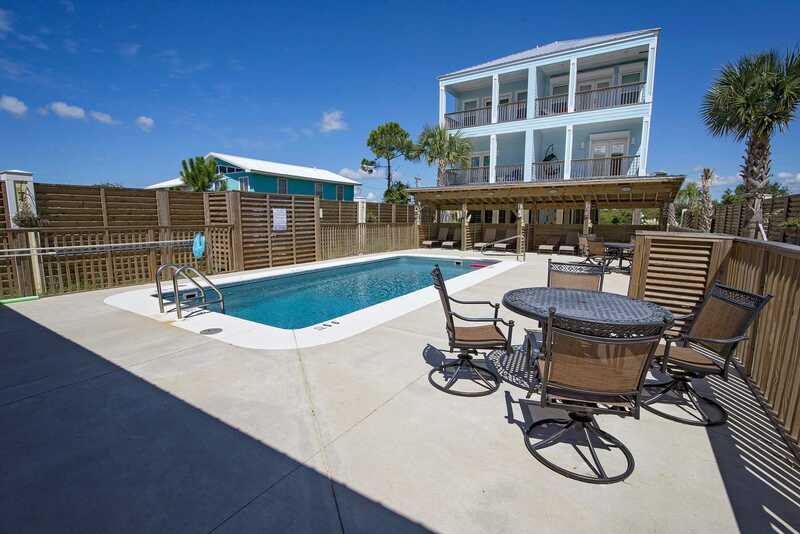 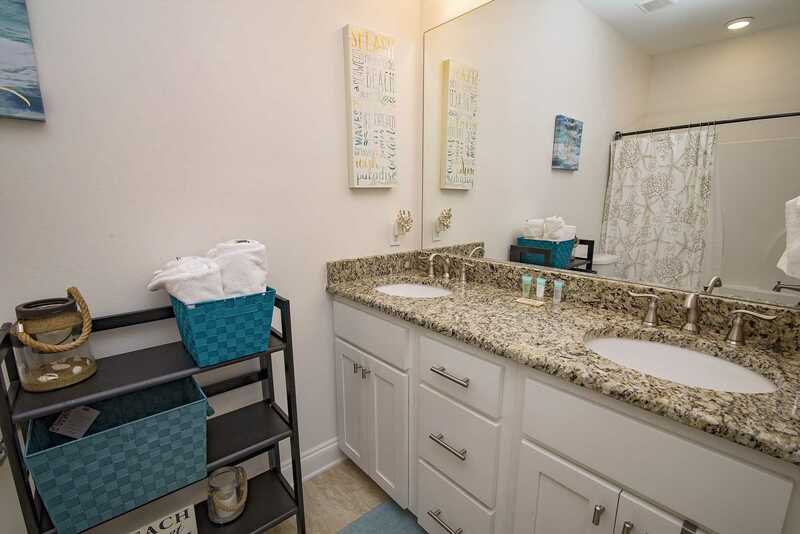 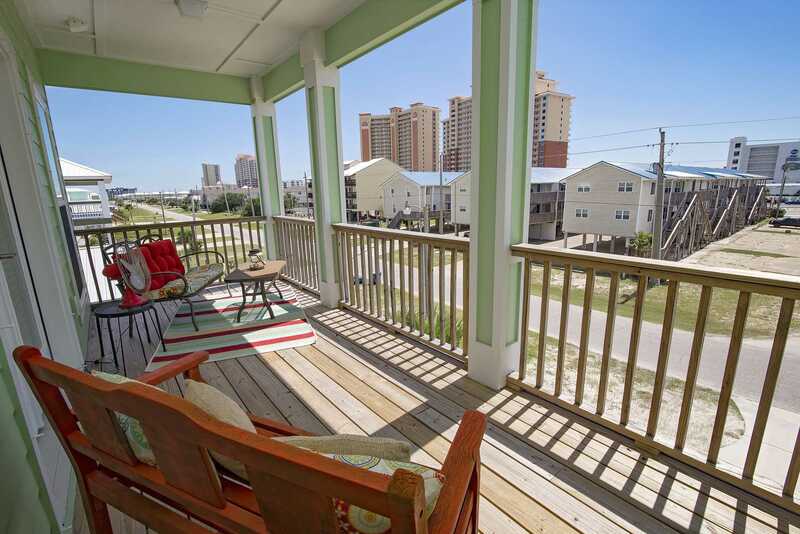 If you'd like to get away, try a Mintal Escape, one of our newest listings in the Gulf Shores area! 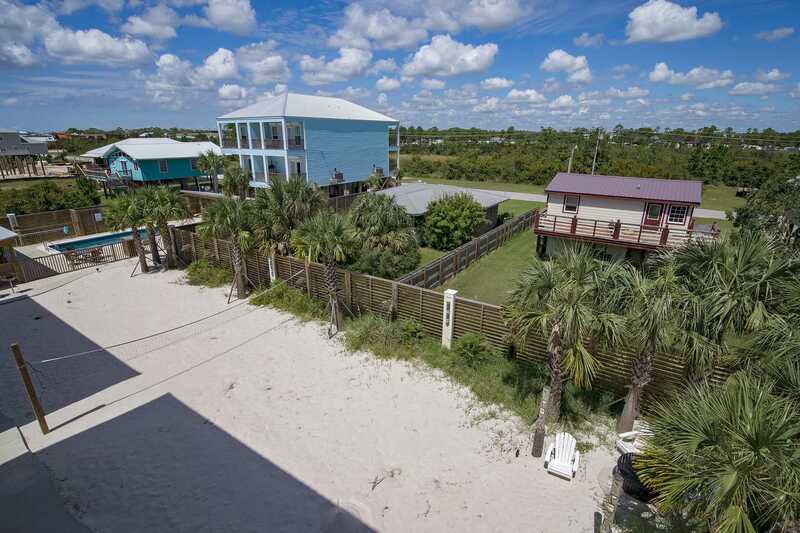 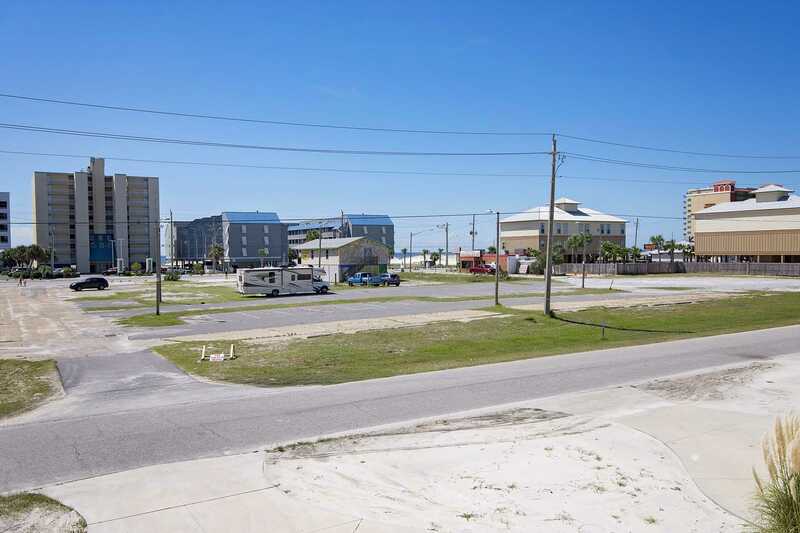 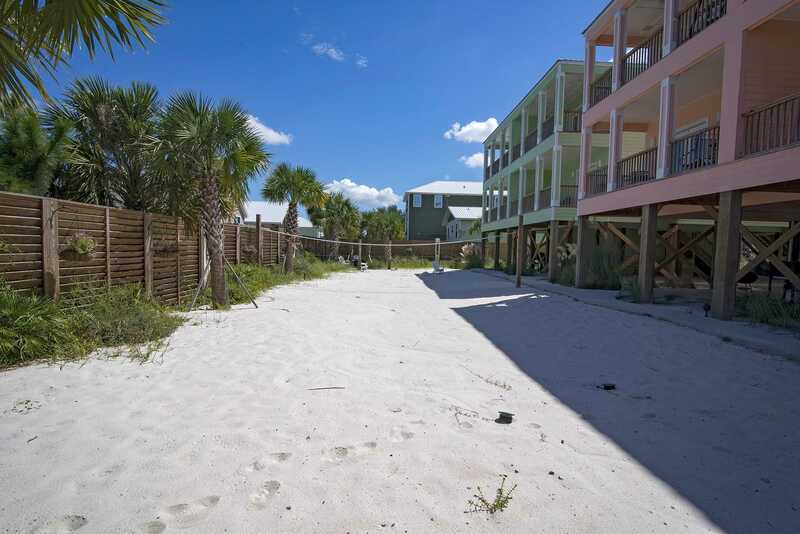 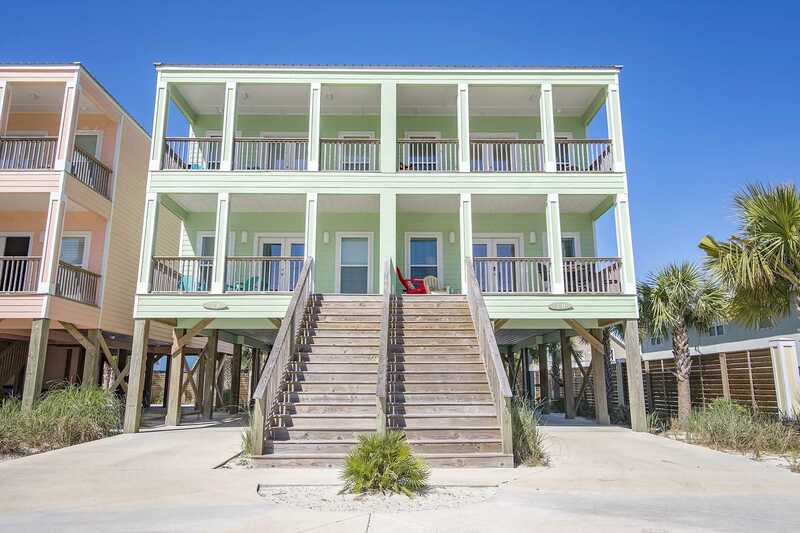 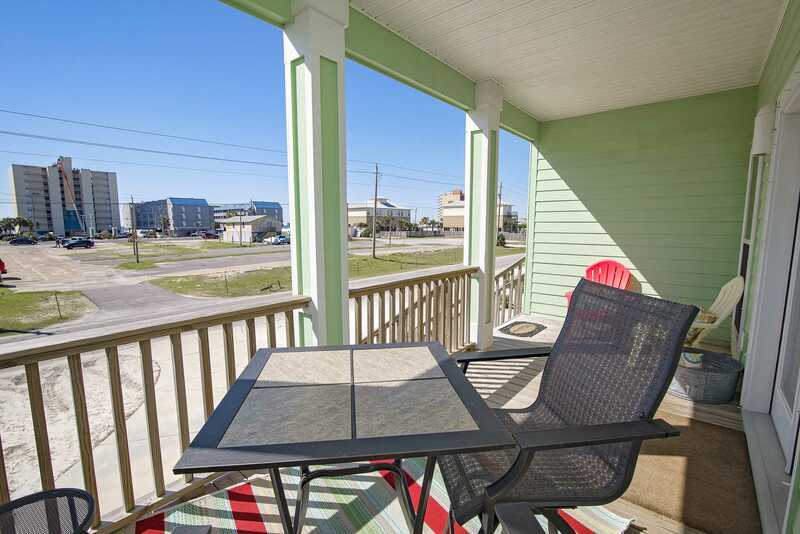 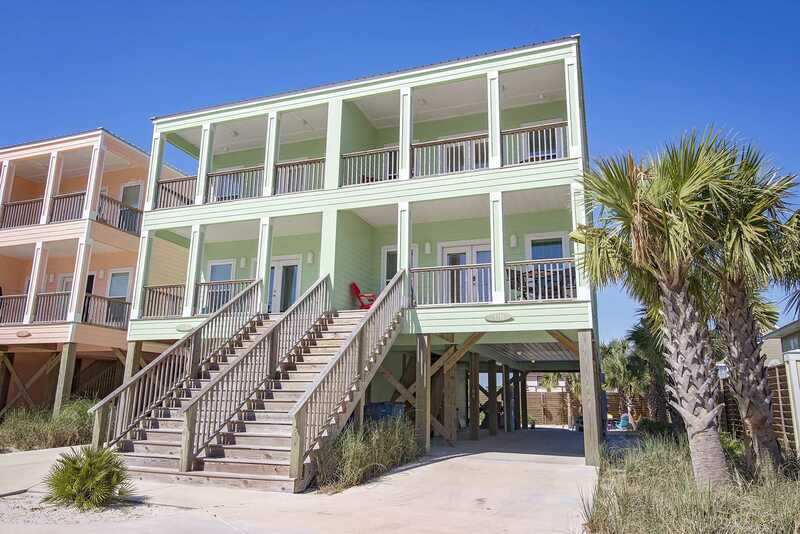 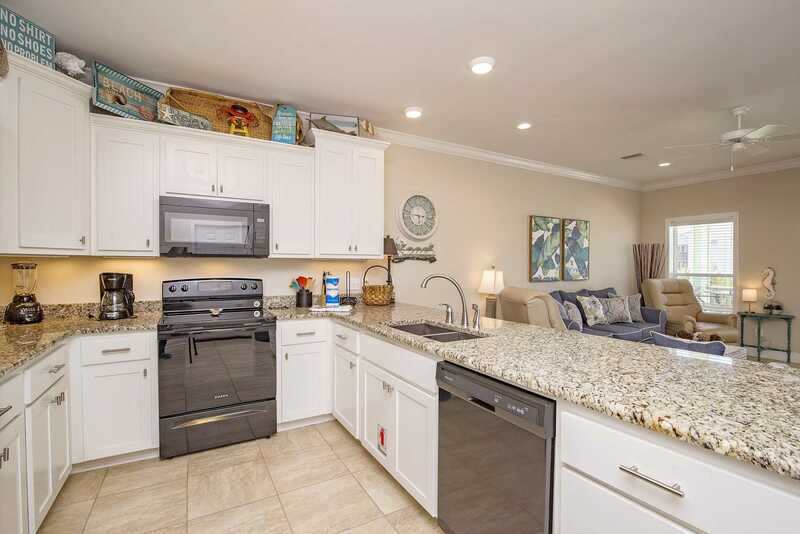 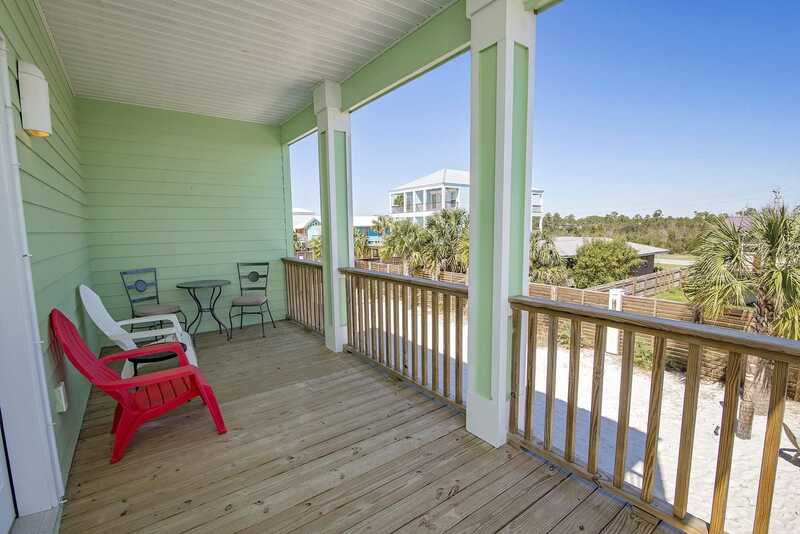 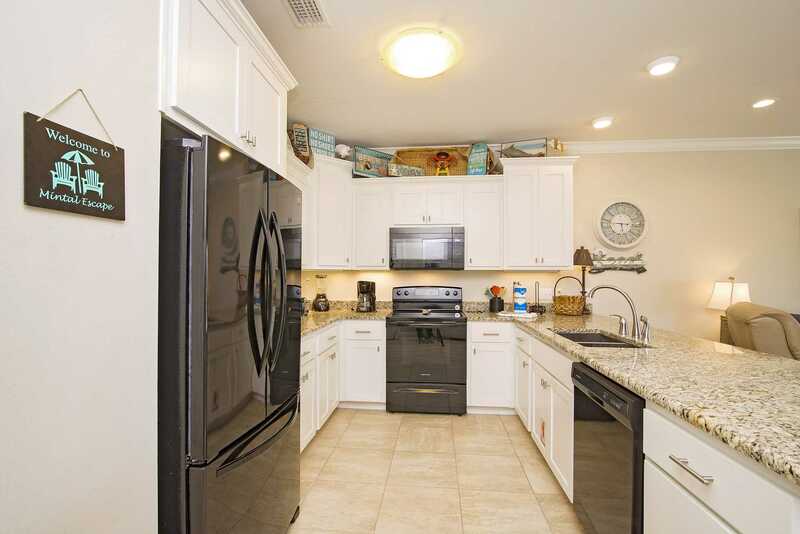 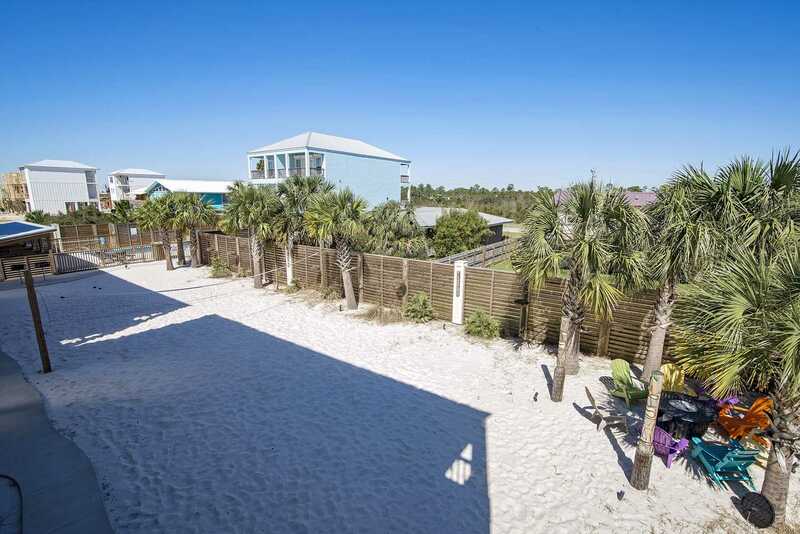 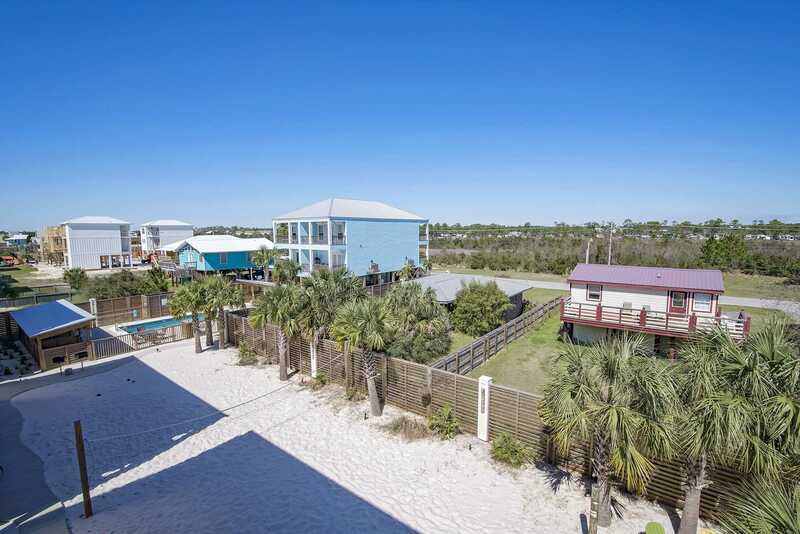 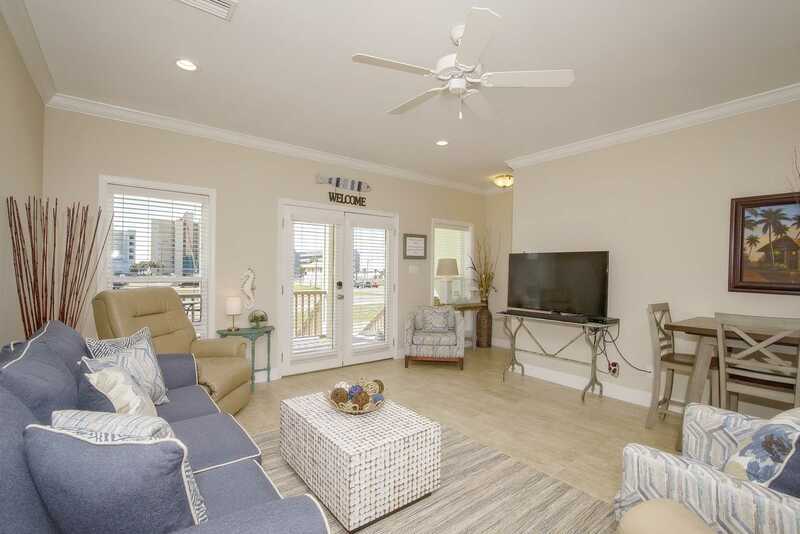 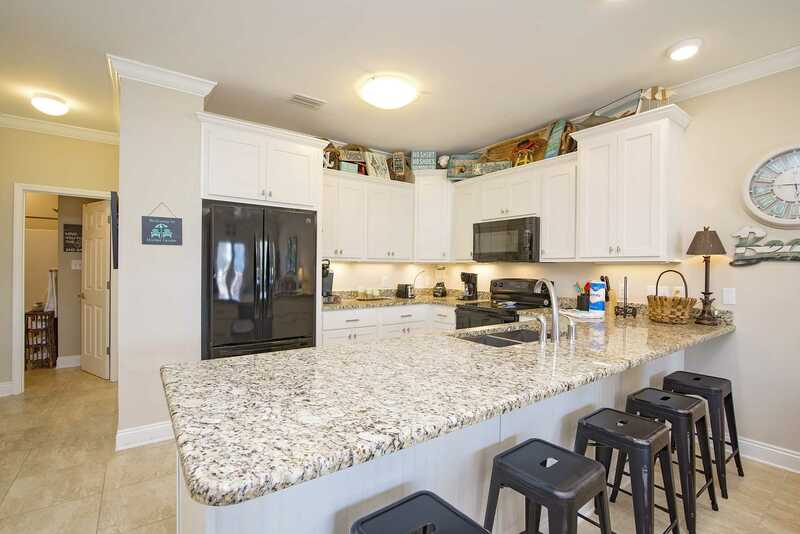 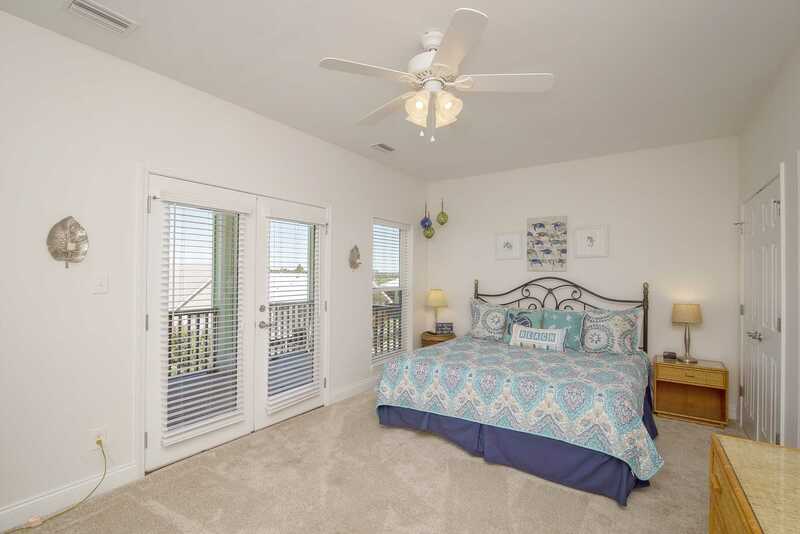 Located a few blocks away from downtown Gulf Shores and the beach, this 3 bedroom, 3 bathroom home is just right for family and friends wanting to have a great vacation. 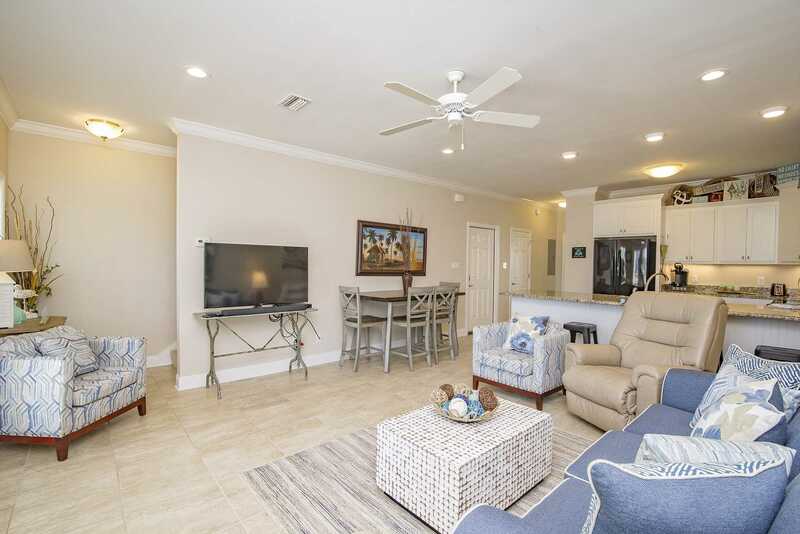 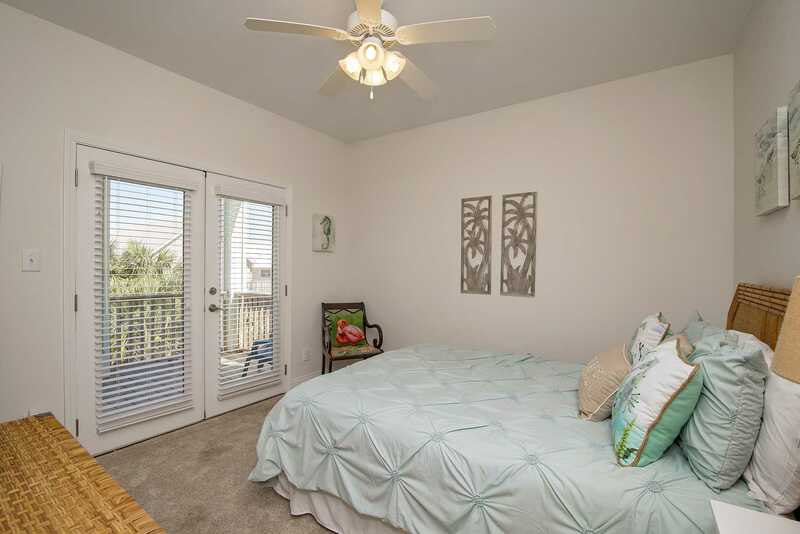 The inviting, open floor plan allows for easy casual entertaining and includes new kitchen appliances, granite counter tops, bar area seating, comfy living room seating along with a flat screen TV and WiFi available for all. 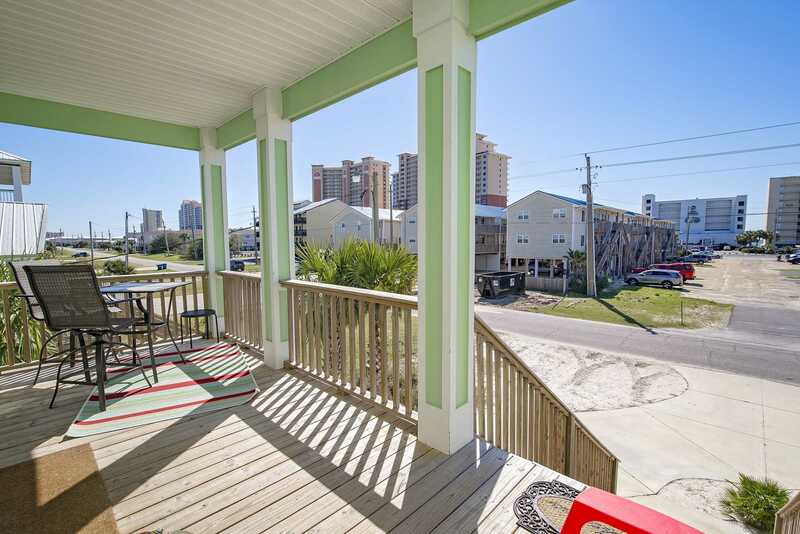 You may opt to just go out for some fun, food & drinks and not to worry...all of that is just a few blocks away in the heart of downtown Gulf Shores along with the zoo, a water park, the Hangout, even the Gulf State Pier. 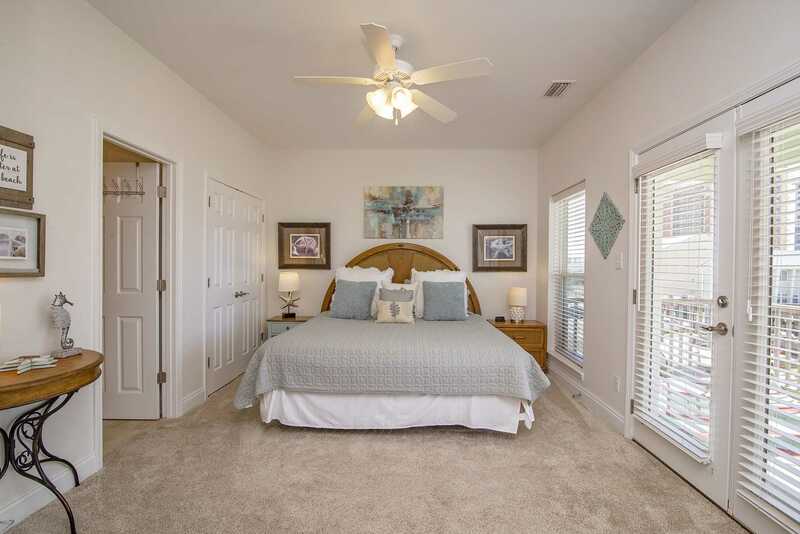 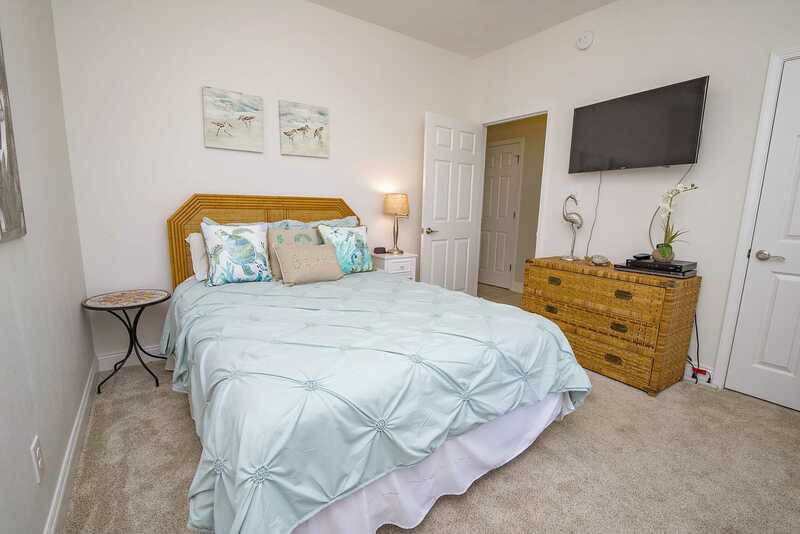 Once you are ready to retire, one of the two king bedrooms or the queen bedroom will be sure to meet your needs. 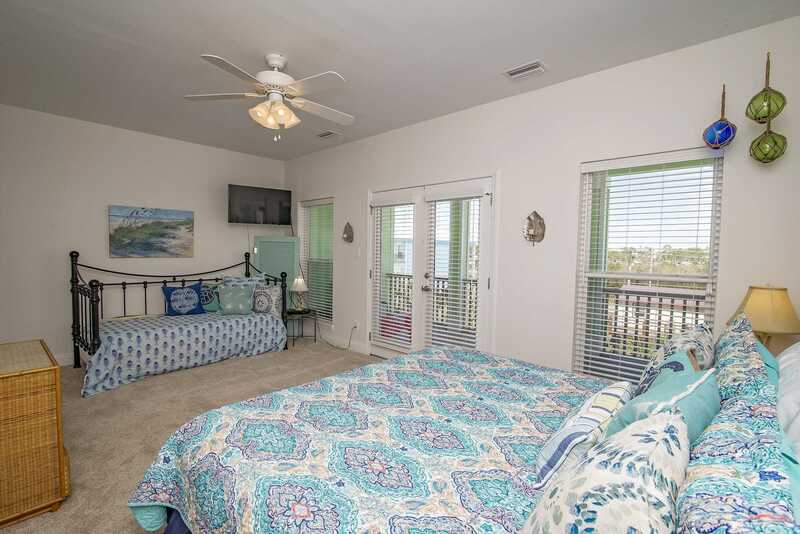 The king guestroom 2 even has a twin daybed for even more sleeping room. 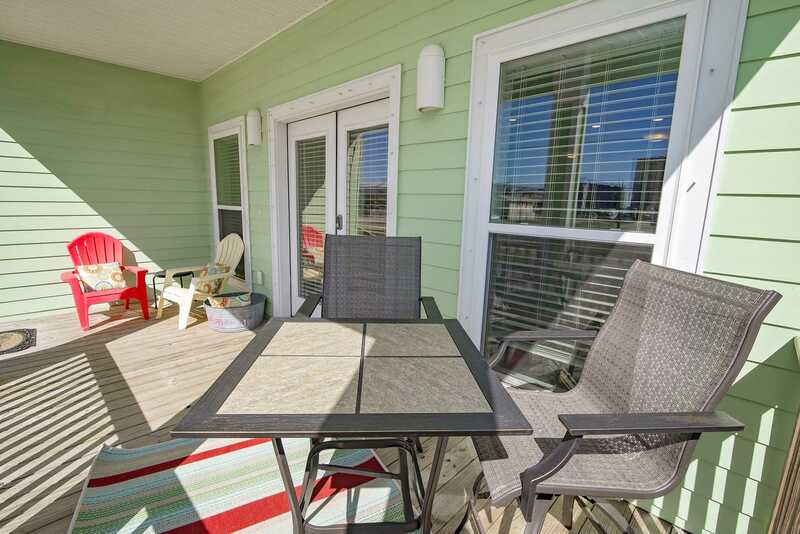 As an added bonus to help you unwind, all of the bedrooms have access to a balcony, with the master having its own south facing balcony! 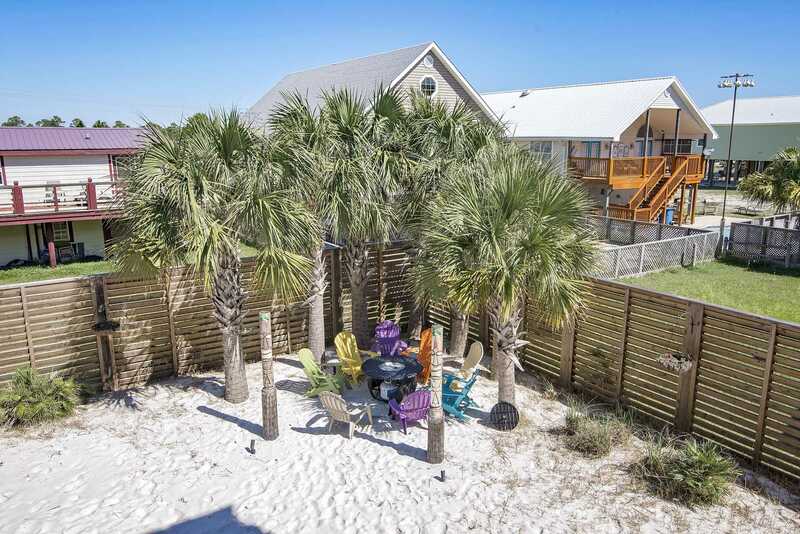 Once you wake up refreshed again for the day, feel free to grill out and catch a breeze under the home or maybe have a game of volleyball with the net provided. 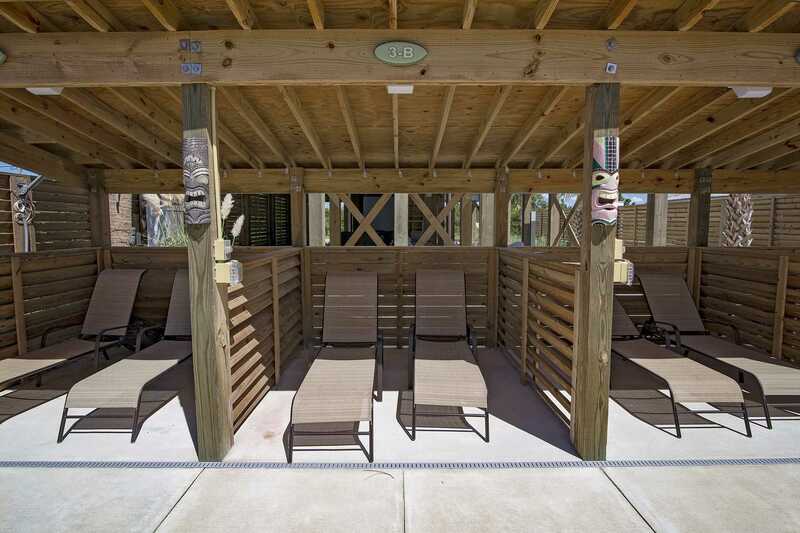 There is also a small cabana with seating just for you at the community pool area for even more ease of mind while relaxing there. 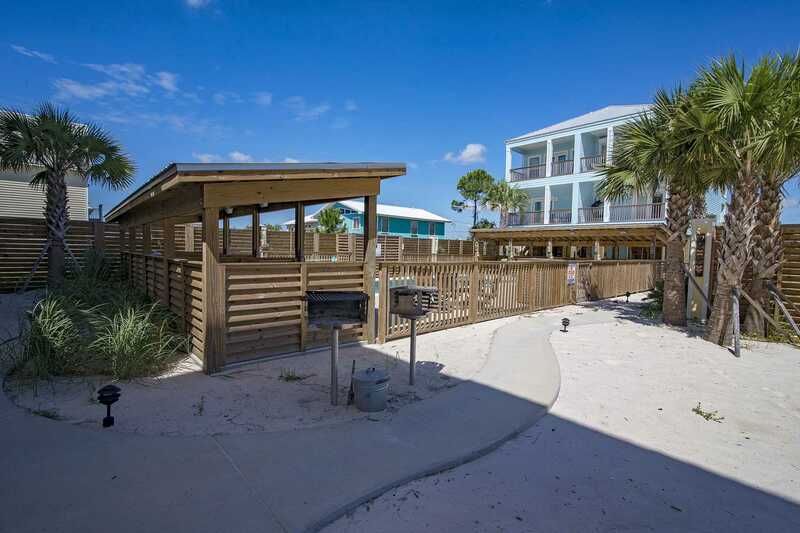 But don't forget to get down to our amazing white sand beach and breathe in the gulf air while dipping your toes in the water or going swimming. 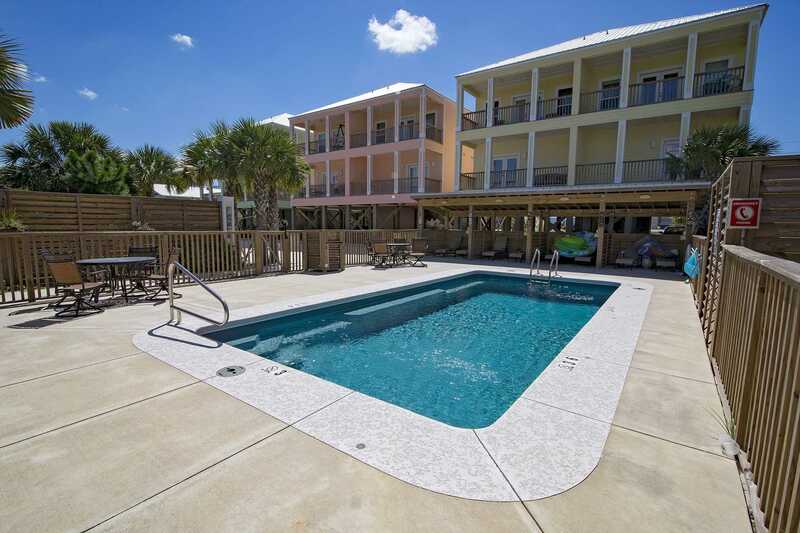 Whatever you need for your getaway, you are sure to have it at the Mintal Escape!